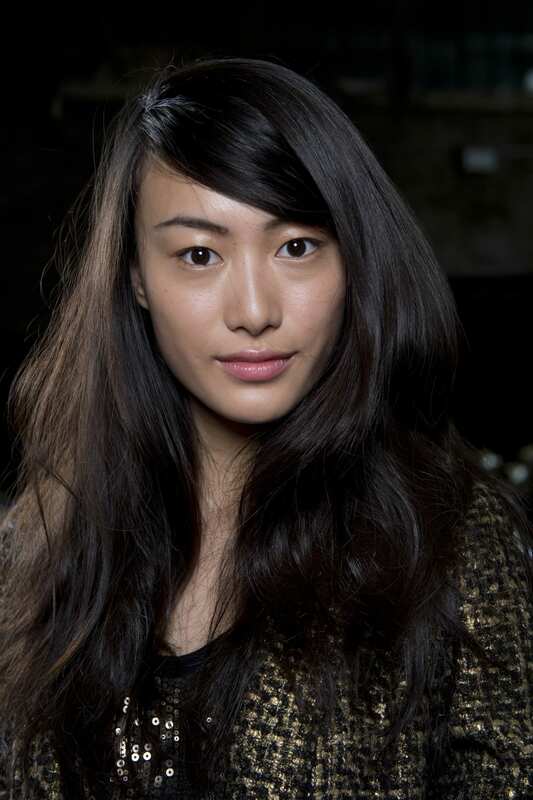 “The hair look at the S/S 2013 DKNY was youthful and natural looking but with a definite sense of direction. “The DKNY S/S ’13 collection was based on the ultimate DKNY girl’s lifestyle, with every aspect of her day catered for, from swimwear to outer-wear, so it stands to reason that the hair reflects this direction. I wanted to create a hairstyle that gave a sense of unity to the look and give a relaxed, lifestyle feeling. I felt it important to give a sense of life and movement to the hair and play on how the light reflects on textures, so I created a subtle multi textured effect on the hair. 1. Start with clean freshly washed and conditioned hair, using Wella Professionals Enrich Shampoo and Conditioner, to ensure hair is in perfect condition. 2. If hair is feeling dry at the ends, prep hair with SP Hydrate Finish to add some moisture. 3. Roughly dry the hair using your hands. Then create a low side parting and section off the hair from the parting to the crown. 4. 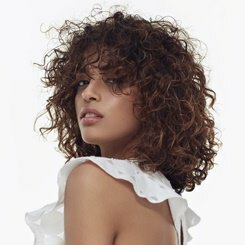 Spray the roots of this section with Wella Professionals Perfect Setting Blow-Dry Lotion, then section off hair and blow dry each section perfectly straight using a round brush to create a smooth sleek finish. Apply tension with the brush at the roots and loosen the tension as you dry to the ends of the hair. 5. Once this section is dry and smooth, sweep the hair down low over the forehead and secure behind the ear with a hair grip. 6. 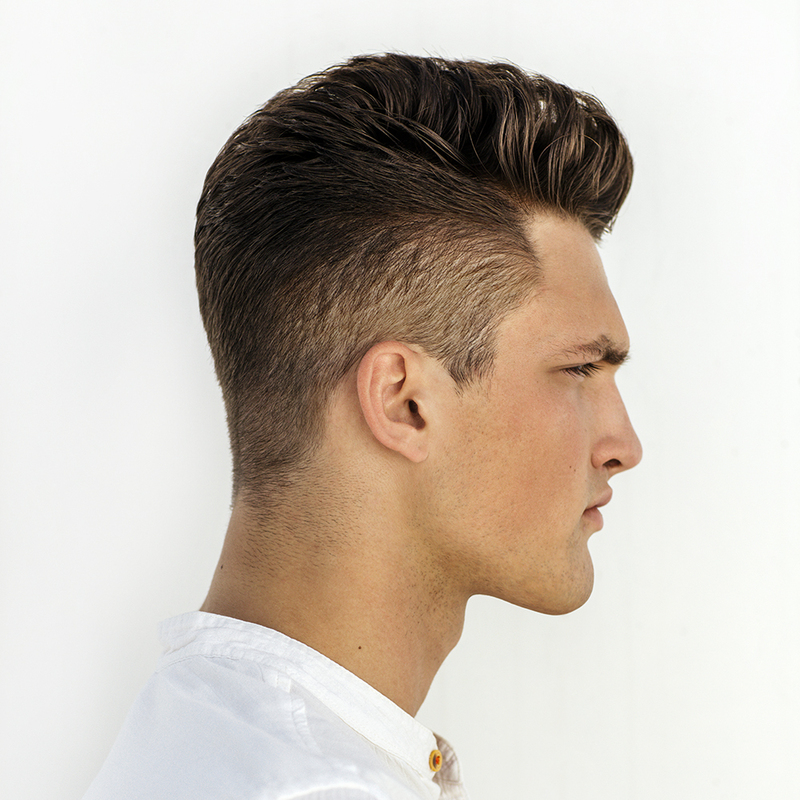 Pull some of the hair forward over the ear to give a less polished feel to the look. 7. 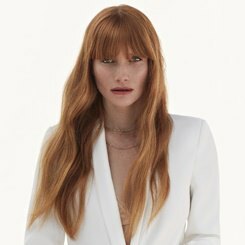 Pull the hair on both sides towards the back of the head and twist in to a rope – spray with Wella Professionals Create Character Texturising Spray, then while holding the hair in a tight twisted rope apply heat with a diffuser till the hair is bone dry. 8. For extra effect, pin the rope up until you are ready to reveal the hair. 9. Once the rope of hair is released, the hair will have a natural tousled effect to it. 10. Finally, for added texture, once the hair is loose push the hair upwards against the natural grain around the crown of the head to give a textured fly away feel to the hair.